Equipped with cutting-edge gym equipment and a dedicated studio for spin, pilates, & yoga classes. 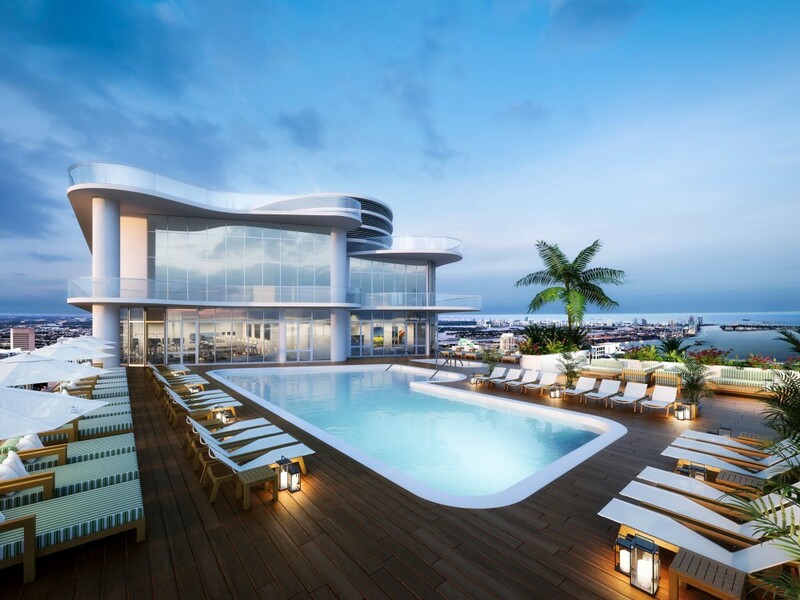 A fully-attended rooftop featuring 360-degree views of Miami and Biscayne Bay. 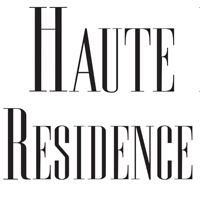 Featuring steam, sauna, relaxation and treatment rooms with services available upon reservation. 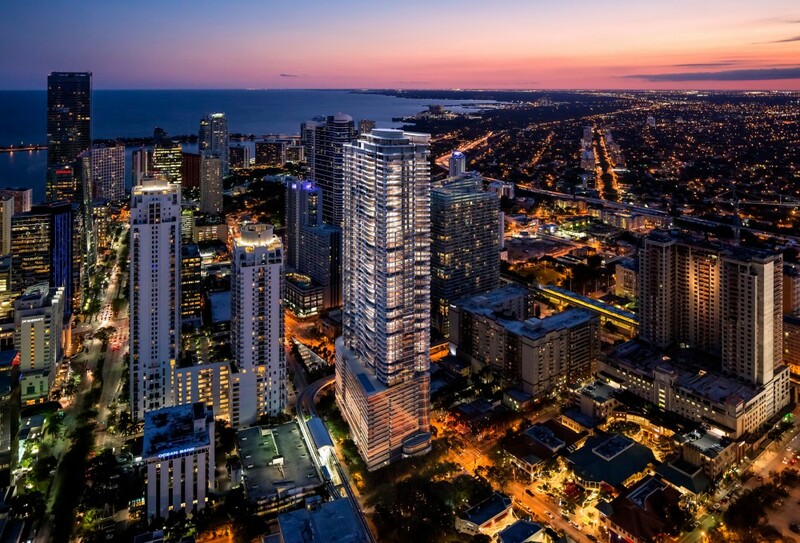 Miami’s premier luxury developer—Ugo Colombo’s CMC Group—brings a landmark property to the heart of Miami. Brickell Flatiron’s five-star amenities and ground-level luxury retail will become a new anchor in the ever-growing neighborhood. 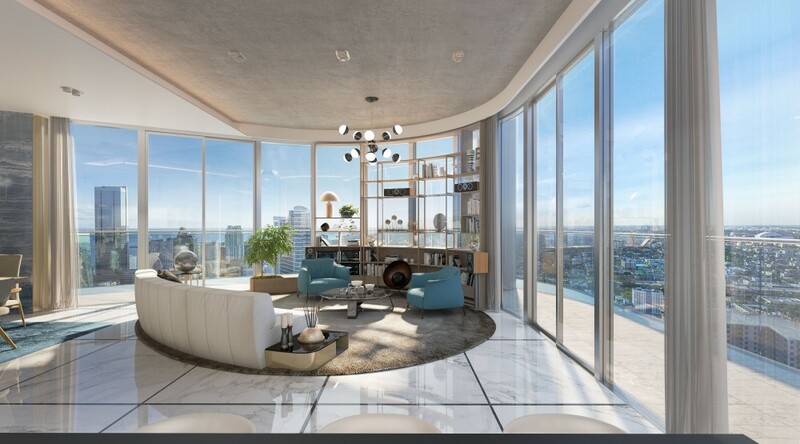 The crown jewel of Brickell Flatiron will be a Sky Spa, Pool, and Gym perched 64-stories over Brickell – offering residents 360-degree views of Miami. Italian design and superb materials make Brickell Flatiron a home for those who demand the best. Now topped off, Miami’s Italian masterpiece is one step closer to its completion, scheduled for this Summer.